AEROCOR’s Certified Pre-Owned Aircraft program takes the guesswork out of buying a pre-owned aircraft. *Program includes all inspections due on or before 11.99 months or 299.99 hours of operation as measured from the completion of the last 24 month inspection.. Does not include inspections due at 12 months / 300 hours. Contact AEROCOR for full details. **Type rating training must be completed “in-aircraft.” Simulator training not provided. Instructor travel or other expenses not included. Additional restrictions apply. Contact AEROCOR for full details. 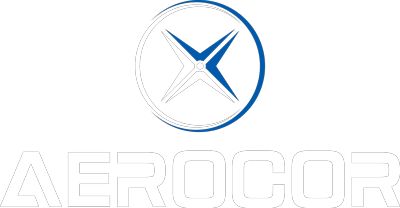 As the world’s largest buyer/seller of Eclipse aircraft, AEROCOR offers a level of service that no other organization can match. 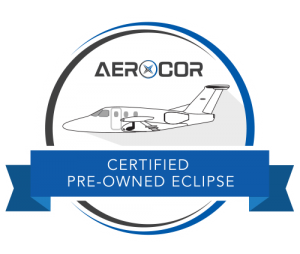 Purchase an AEROCOR Certified Pre-owned Eclipse and discover just how rewarding a modern light jet can be!